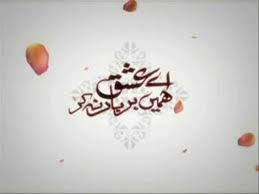 Aey Ishq Hamain Barbad Na Kar is about love and the sacrifices it brings to one�s life. Saga revolves around two tracks, one highlighting the relationship of fascination between Ania, (a theatre actress) and Imran, (theatre director). But another character Sameer, make his presence felt when Imran left Ania alone. Director : Erum Binte ShahidWriter : Ali ImranCast:Faisal Rehman,Faisal Shah,Maria Wasti,Mehmood Aslam ,Nabeel, Saba Pervaiz, Suneeta Marshall, Tooba and others.